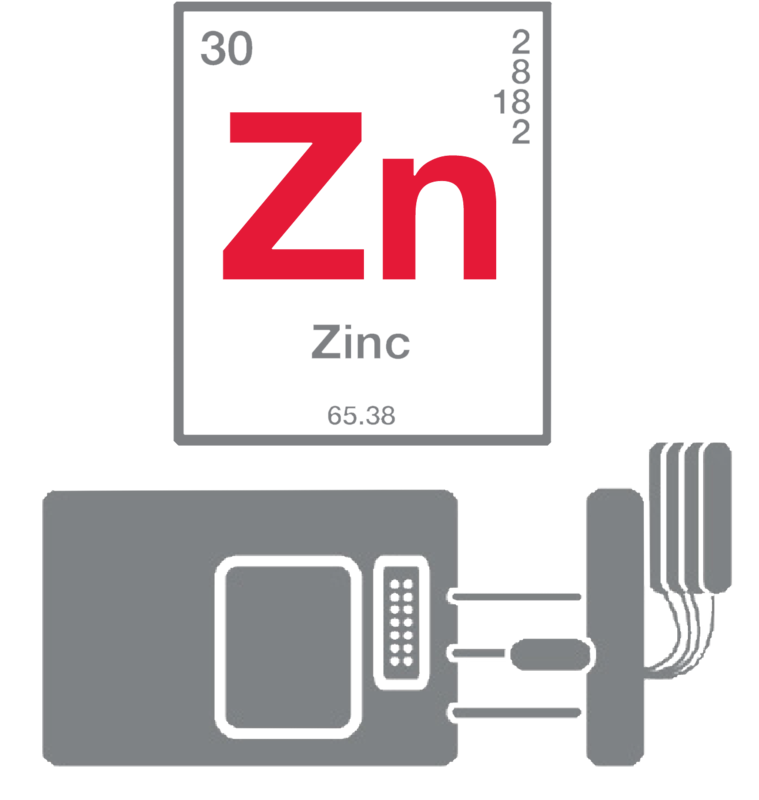 Zinc offers a combination of characteristics that gives it a unique advantage in many die casting applications. These include a combination of strength, ductility, impact strength, finishing characteristics and tooling that has high resistance to catastrophic failure. Zinc is the heaviest of the three alloy groups our die casting company offers, weighing approximately 2.5 times more than aluminum and 3.25 times more than magnesium. Further, zinc tools typically last between 400,000 and 700,000 shots depending on the design. With these factors and the finishing advantages of zinc, it’s easy to see why this is a metal of choice for many applications. Pace, a company specializing in zinc die casting, offers a variety of zinc die casting approaches that range from the ability to produce small, miniature zinc die castings to larger, conventional castings. As a leading zinc die casting company, Pace has two divisions that offer die casting zinc. Our B&C Division, located in Harrison, AR, has Techmire machines for miniature zinc die castings, as well as conventional zinc die casting machines ranging from 60 to 500 tons. Pace’s Cambridge Division, located in North Billerica, MA, offers zinc die casting machines ranging from 250 to 650 tons. 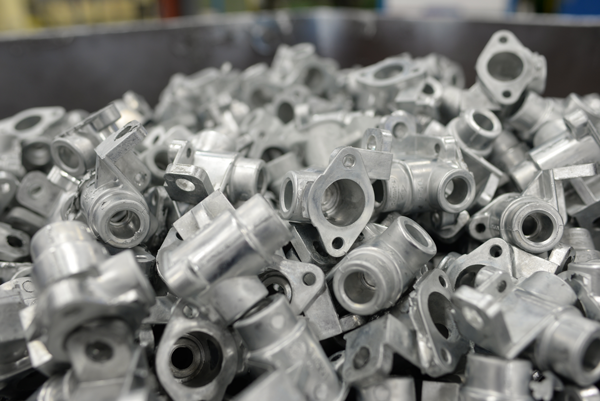 Both of our zinc die casting divisions offer an array of secondary and value-added services to provide completely finished and assembled products. Also known as Kirksite or Zinc Alloy 2, Zamak 2 has the highest strength and hardness of the Zamak group of alloys. Zamak 3, or Zinc Alloy 3, is the most commonly used zinc alloy in North America and has superb castability and excellent finishing characteristics. Zamak 5, or Zinc Alloy 5, is the most commonly used alloy in Europe, has less ductility than Zamak 3, but also a higher copper content resulting in higher strength. Zamak 7, or Zinc Alloy 7, is a variation of Zamak 3. It is a high-purity alloy containing lower magnesium content and has a tighter impurities specification. This results in enhanced casting fluidity, ductility, and surface finish. ZA-8, or zinc aluminum alloy, contains significantly more aluminum than the Zamak group of alloys. ZA-8 contains approximately 8.4% aluminum and is the only ZA alloy that can be hot-chamber die cast. ZA-12, or zinc aluminum alloy, contains even more aluminum than ZA-8. The number 12 represents the approximate percentage of aluminum. ZA-27, or zinc aluminum alloy, contains even more aluminum than the ZA-12. It also has the highest strength, highest melting point, and lowest density of the ZA group.